1. Visit the Website 2. Enter the Personal Code or Tick "No" 3. 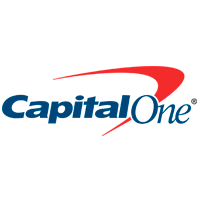 Check "Yes" and Hit "Submit"
The Capital One Financial Corporation is a bank holding company specializing in retail banking, credit cards, loans and savings and offering services to consumers, small businesses and commercial clients. As a member of the Fortune 500, the company has helped pioneer the mass marketing of credit cards in the early 1990s and has grown into a diversified bank.